LEICESTER gave another impressive demonstration of home-track strength with a 62-28 thumping of Scunthorpe on Saturday. 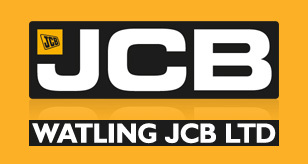 The Watling JCB Lions made it a productive weekend after picking up a point in Lincolnshire 24-hours earlier, and it was another result which significantly boosts their race-points difference in the Championship Shield. Skipper Scott Nicholls bounced straight back to form with a five-ride paid maximum, whilst Josh Bates reeled off four straight wins for a 12-point full house – which left the Scorpions reduced to just two race victories. In fairness, the visitors weren’t helped by the withdrawal of heat-leader Jake Allen after a tumble on the last lap of Heat 4 when he was battling with Lions star Richie Worrall. Allen walked away but was unable to continue after suffering an elbow injury, and that left former Lions rider Josh Auty and his regular race partner Stefan Nielsen fighting a rearguard battle to stem the tide. 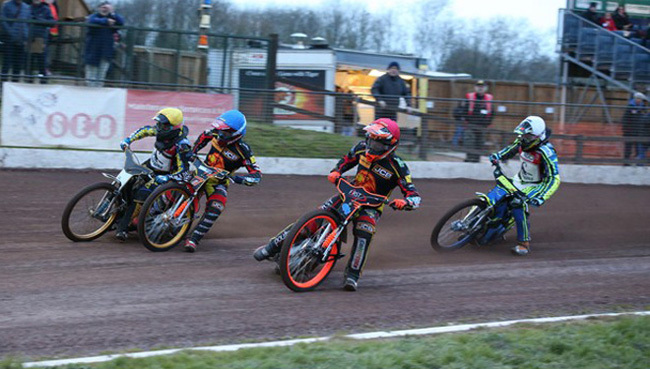 By the stage of Allen’s crash, though, the Lions were already in control of the meeting having collected a 5-1 through reserves Jack Thomas and Connor Mountain in Heat 2, a result rapidly backed up by Bates and Ryan Douglas in the next. Douglas suffered a fall in his next outing as he tried to make his way through from the back, but the run of Lions heat-winners continued, and Nicholls and Ellis Perks both switched neatly inside Jason Garrity for a 5-1 in Heat 6 before Worrall took the outside line to get the better of the Scorpions’ skipper in the next race. The visitors had to wait until Heat 8 for a winner, with Nielsen taking the flag in a 4-2, but the Lions responded with back-to-back 5-1s to effectively end the match as a contest. Auty added a win in Heat 11 where Worrall was unusually relegated to the back, but Leicester slammed on the accelerator again with three more 5-1s as Bates completed his four-ride maximum in Heat 12 whilst Mountain took the scalp of Garrity; Nicholls and Worrall combined to see off Auty’s challenge in the next; and then Douglas and Thomas were away and gone in Heat 14. Auty did manage to split the home duo in Heat 15 but it wasn’t enough to prevent Nicholls from going through the card with paid-15 by taking the flag with Worrall third – at the end of another team performance offering huge encouragement for the season. Leicester boss Stewart Dickson said: “One or two of our guys had off-nights on Friday, but this was right back to being a full one-to-seven team performance from us. “It was a thoroughly professional job and you can see that from the scoreline. I’ve always said home form is crucial - we need to win our home matches and make the Paul Chapman & Sons Arena a fortress. “We had seven riders all scoring points and all riding the track well with some great races – Richie Worrall going around the outside of Jason Garrity, then Josh Bates did it and Connor Mountain followed him on the next lap, so there were a few good races and the track rode well. “We went grippy on the starts tonight, with a bit extra compared to normal because we know Scunthorpe have the exact opposite which we found out to our cost in the first five races last night, so we set it up to help our boys from the starts, and it worked for us. “They were unfortunate to lose Jake Allen who had looked decent, he got a sore one but I spoke to him afterwards and he’s just bruised, like Ryan Douglas last week, so that did hamper them, but for me it was all about us. Lions now take a break from team action prior to a massive Easter weekend which sees a visit to Redcar and home-and-away clashes with Sheffield as they seek to secure a place in the Shield semi-finals.